This is the Kenya Karatina brought to you by Huckleberry Roasters. This fully washed coffee was sourced from the growing region of Nyeri in Kenya and was produced by the Barichu Farmers' Cooperative Society at 1,500 - 1,900 meters. 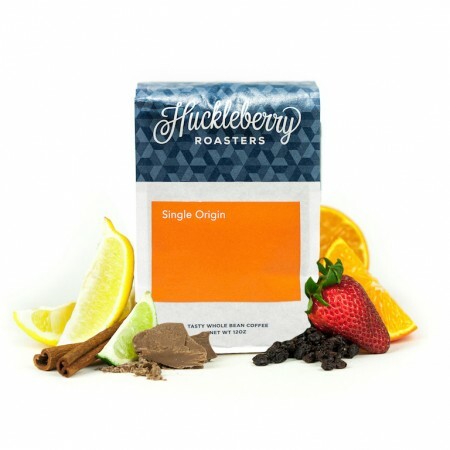 We love this coffee for its its nuanced notes of deep fruit notes and juicy citrus acidity. Really complex cup. Loved how it changed based on brewing method / grind. Lots of floral notes with a solid base. Love it! Deep fruit notes and citrus flavours. Almost smoky and chocolate-y at the end too. Absolutely loving this. Good, but lacking compared to some other Kenyans.